Young salmon fry are raised at Hoy Creek Hatchery from the egg and smolt stages and are then released each spring to the creek to begin their journey to the Pacific Ocean. The incubation room at Hoy Creek Hatchery is where we incubate the salmon eggs from initial fertilization and disinfection to the eyed stage. The incubation stack is fed with creek water that is constantly moving. From the eyed stage the eggs hatch as alevins and live off their yolk sacs for food (see top photo). After their yolk sacs have been used up, the alevins "swim-up" as fry and are ready to feed. They are then moved to the Capilano trough. A society volunteer shows children salmon fry in an incubation tray at Hoy Creek Hatchery in Coquitlam. During their stay in the incubation room, eggs are weighed and monitored. Dead eggs are removed during the process. Filter systems are are checked and cleaned daily. 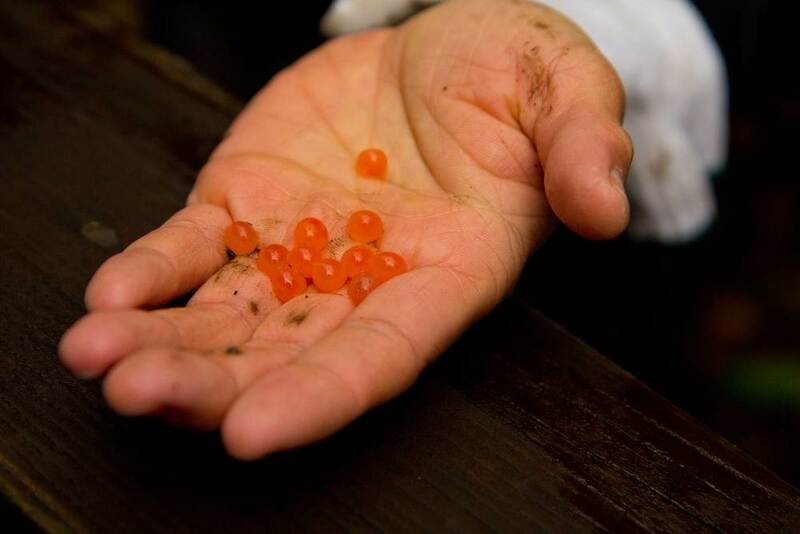 Hoy Creek Hatchery is licensed to raise 25,000 eggs, however we are only licensed to raise 6,000-12,000 salmon. 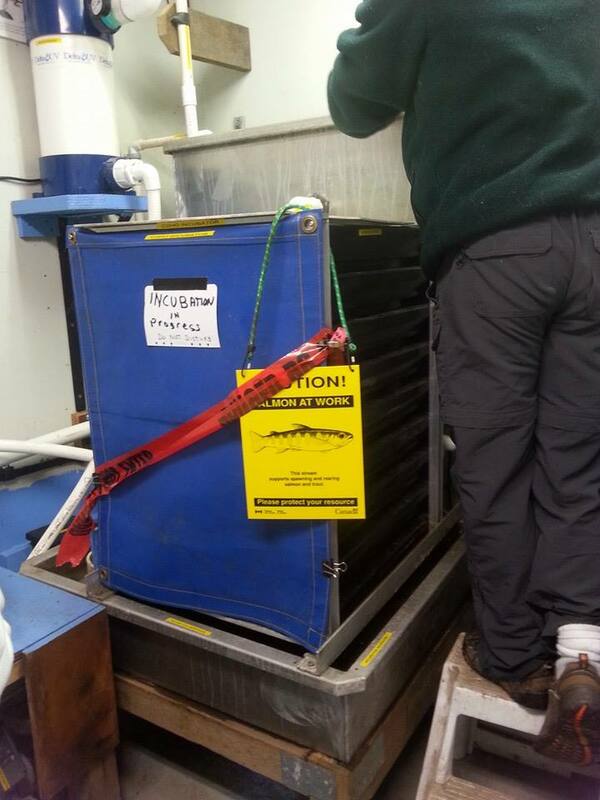 Any excess are raised for 1-2 months at the hatchery and then placed in various portions of upper Hoy Creek, upper Scott Creek and Pinnacle (Scott) Pond to rear as wild fish.